You need something that is FUN and that will hold a lot of candy this halloween! Roomy enough to carry all your candy OR books, supplies, whatever you need! 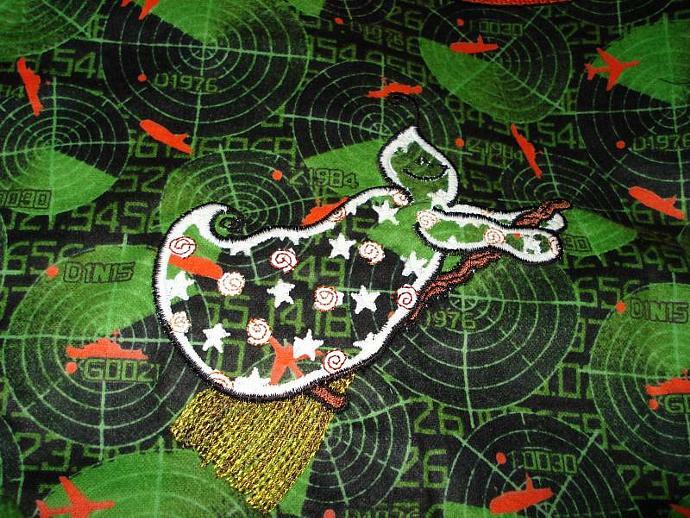 The exterior of bag is made using flannel with a black background, green radar/numbers and orange planes, ships and submarines and has a whimsical ghost flying on a broom embroidered to the front - the ghost is sewn with glow-in-the-dark thread! The interior is black cotton twill and the handles are orange belt-cord.